Click here to watch B-roll video of drowsy driving. The National Highway Traffic Safety Administration estimates that drowsy driving was responsible for 72,000 crashes, 44,000 injuries, and 800 deaths in 2013. Drowsy driving is a growing concern in Northern New England. In 2015 Vermont had 364 crashes involving a drowsy driver, a 6% increase from 2011. 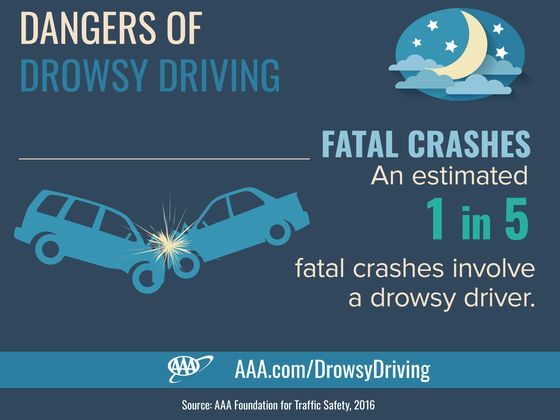 In 2015 Maine had 762 crashes involving a drowsy driver, a 11% increase from 2011. In 2015 New Hampshire had 341 crashes involving a drowsy driver, a 4% increase from 2013.